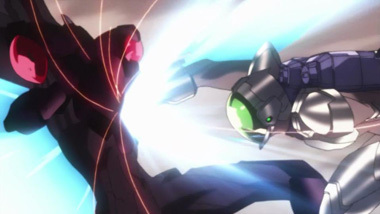 On the surface, AW is a fairly standard wish fulfillment anime. Haruyuki, an unpopular student in 2046 who's often teased for his short, chubby frame, takes solace in the fact that he's great at virtual reality games. 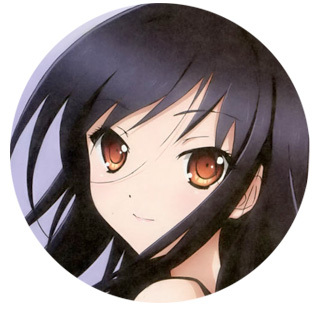 His skill attracts the attention of Kuroyukihime, a beautiful upperclassman who has a mysterious interest in his gaming prowess. Soon, Haru realizes his gaming skills are extremely valuable in Brain Burst, an underground VR game where players viciously battle for the points they need to gain power in the real world. It's your basic story of an underdog who realizes his one seemingly insignificant talent is critically important. Wish-fulfillment stories often get a bad rap for being facile and boring, but AW is neither. True, Haru's gaming skill wins him the attention of pretty girls and the respect of his peers, but there's a lot more going on. The reasons why Brain Burst players are so dedicated to the game get a little complicated (and we're probably better off not even trying to explain them for the sake of avoiding spoilers), but the various factions vying for control within the game, and their conflicting reasons for doing so, keep the plot moving in brisk and interesting ways. This show is a grabber; it's easy to find yourself stuck in the "just one more episode!" loop. 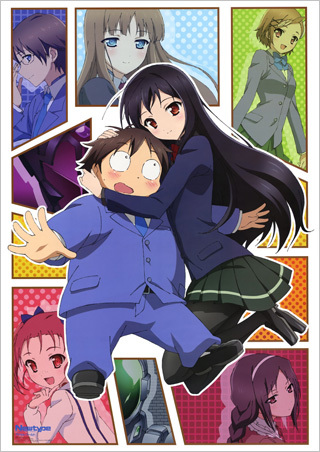 Based on a light novel by Reki Kawahara, also author of the massively popular (and similarly themed) Sword Art Online, which aired at the same time, it's inevitable that this show will be compared to its flashier sibling. 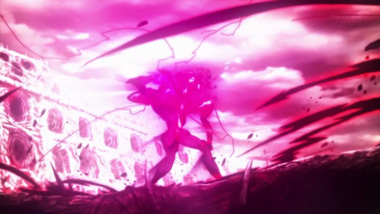 While the production values in AW are lower in general, and the show lacks the sense of grandeur that SAO has in spades, we actually found the characters in AW more compelling. 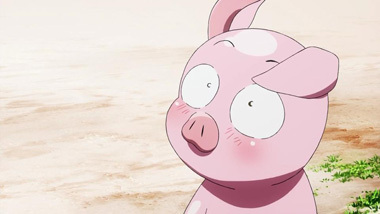 Though the art style makes him look more cartoonishly cute than ugly, Haru is unusual in that he's not traditionally handsome at all; usually, even so-called ordinary protagonists are drawn as fairly handsome, but Haru resembles a little piglet more than anything else. 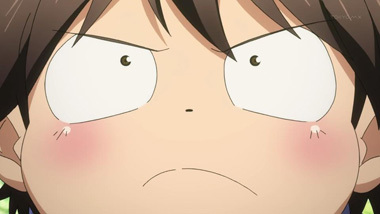 It's easy to have sympathy for Haru in part because he really does look like the down-on his luck, chubby teen he's supposed to be, as opposed to a strapping young man. 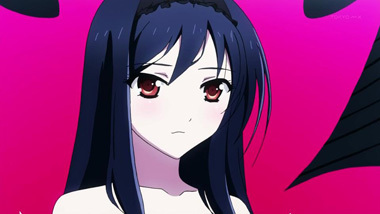 Kuroyukihime was another pleasant surprise. We were expecting a by-the-book ice princess type, one of those incredibly cool and ultra-dignified girls who seems more like a visiting monarch than a student, but she managed to regularly subvert our expectations without ever completely losing her ice princess sheen. 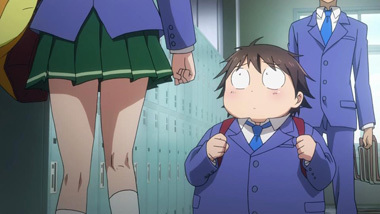 It's refreshing to see the show take what appear at first to be stock characters and do interesting things with them. 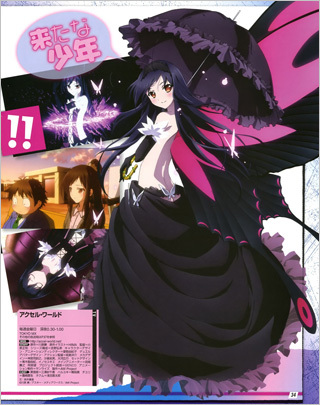 Some characters, like Haru's perky childhood friend Chiyu, remain pretty much what we thought they were at the beginning, but even the more typical characters have intriguing roles to play in the great Brain Burst power struggle. 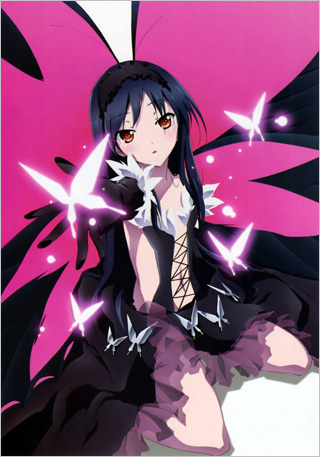 Another area where AW compares favorably to SAO is internal consistency. 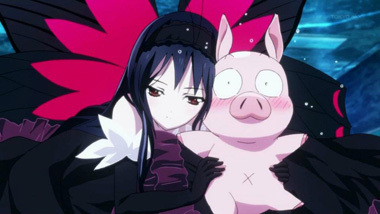 The plot, which deals with the machinations of different factions within Brain Burst, the sped-up Accel World players can access outside of the Brain Burst game, and non-accelerated virtual reality, is probably more complicated than it needs to be, but it's entirely consistent; in fact, whenever we thought we found a plot hole, something would happen that explained it. It helps that the mechanics of the duels in Brain Burst itself are very straightforward: beat the other person up until they run out of health. It's easy to overlook the more convoluted aspects when the battles are frequent and fun to watch. As bombastic as the battles are, the animation is something of a limitation, since it's serviceable throughout but never really dazzles. 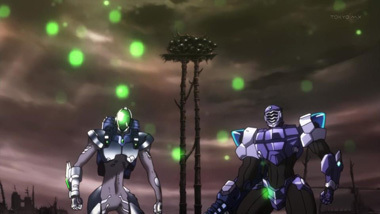 Still, we never had trouble figuring out what was going on, even during the action scenes, so it's not an issue of the animation being poor so much as unimpressive. Like many other shows, AW tries to use interesting designs to make up for lackluster animation, which worked well enough for our purposes. It was always interesting to see new Brain Burst avatars, which run the gamut from magical princess figures to giant battle fortresses. Really, our main complaint with the show is that there isn't more of it. At 25 episodes, there are still plenty of characters we've barely been introduced to by the time the story ends, and there's lots more that we still don't know about Brain Burst and the powerful Burst Linkers who control the game. 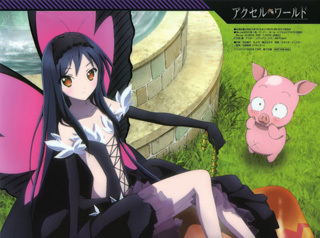 Plus, Haru and Kuroyukihime make for one of anime's more unusual couples, and we could probably watch a whole show just dedicated to them hanging out. 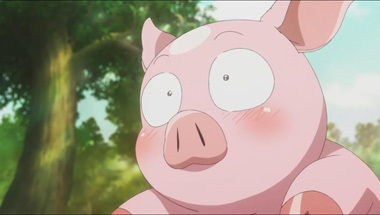 With the popularity of game-focused anime these days (especially those penned by Kawahara), we can only hope we get more of our favorite Burst Linkers sooner rather than later. 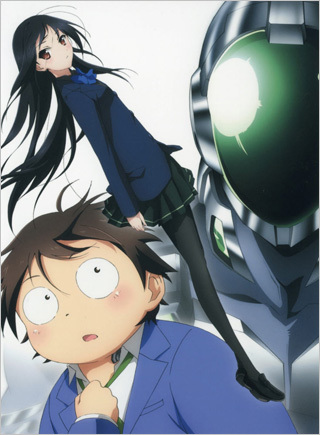 Accel World is currently available on Hulu. 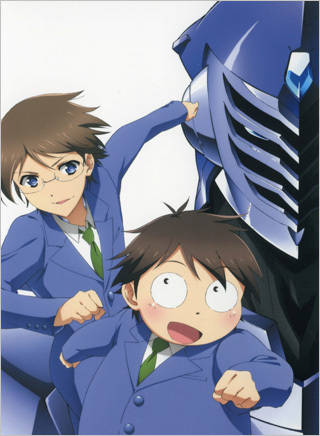 Below: Scenes from Accel World . 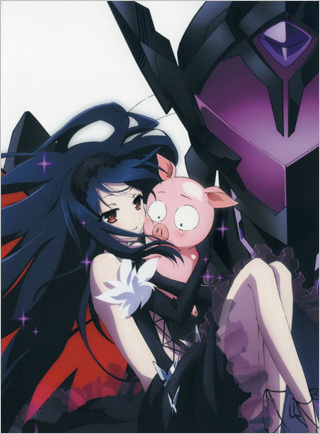 Below: Promotional illustrations for Accel World .